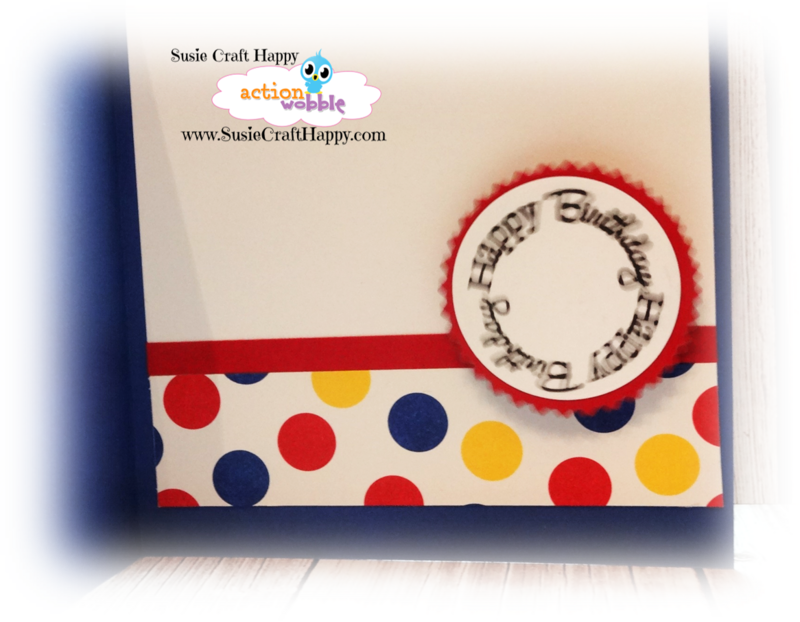 Susie Craft Happy here today with a circus clown themed birthday card for my niece. 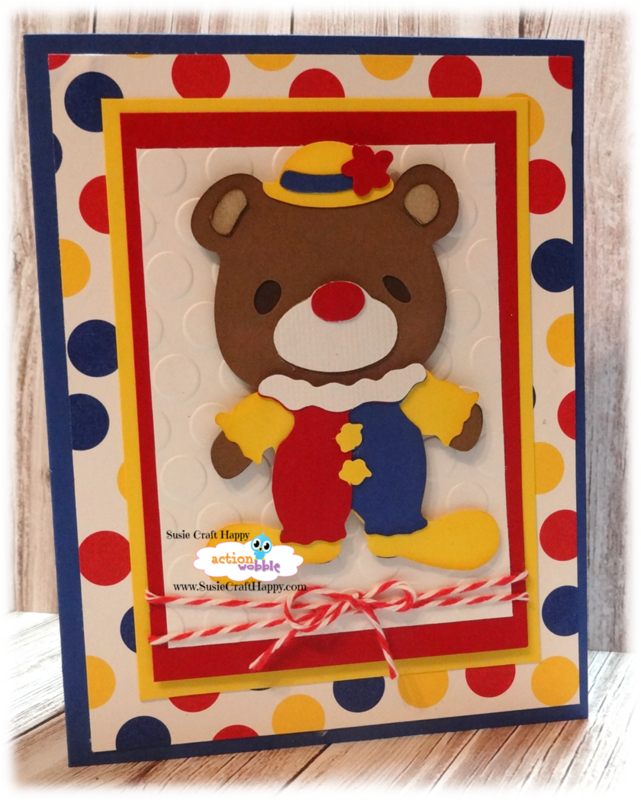 She's having a circus theme birthday party and I thought what better than a circus clown teddy bear card. Using the Cricut cartridge Teddy Bear Parade, I created this image. I tried to keep with the circus theme with the colors. Yes! It's here...right on the inside, the Action Wobble hides to surprise my niece with its wobbling!!! 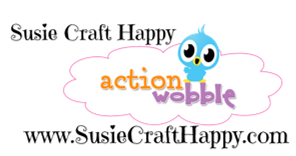 Kids love Action Wobbles on their cards and gifts. You have to get your Action Wobbles today to make your cards fun and interactive. 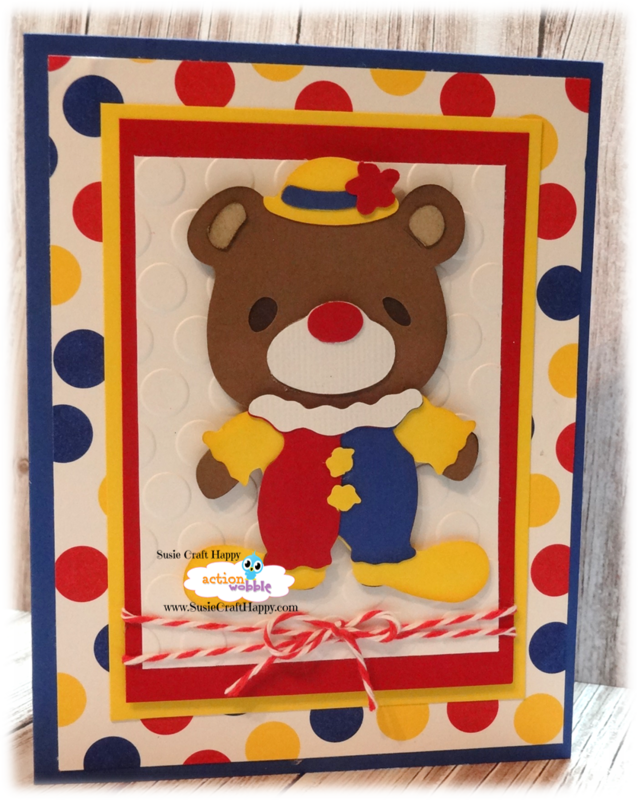 You can order your Action Wobbles here==> The Scrapbooking Queen's Royal Castle Shoppe!! Thanks for stopping by today and please come back tomorrow for more Action Wobble Inspiration! !